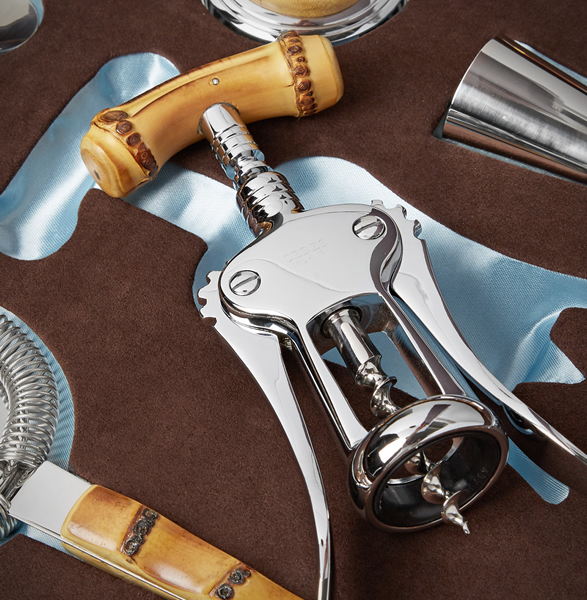 Cedes Milano has over thirty years of experience in the luxury sector and in high-quality manufacturing, they manufacture natural products with emphasises on the natural elegance of raw materials, such as travel accessories, personal care products and home accessories, all 100% handmade piece by piece. 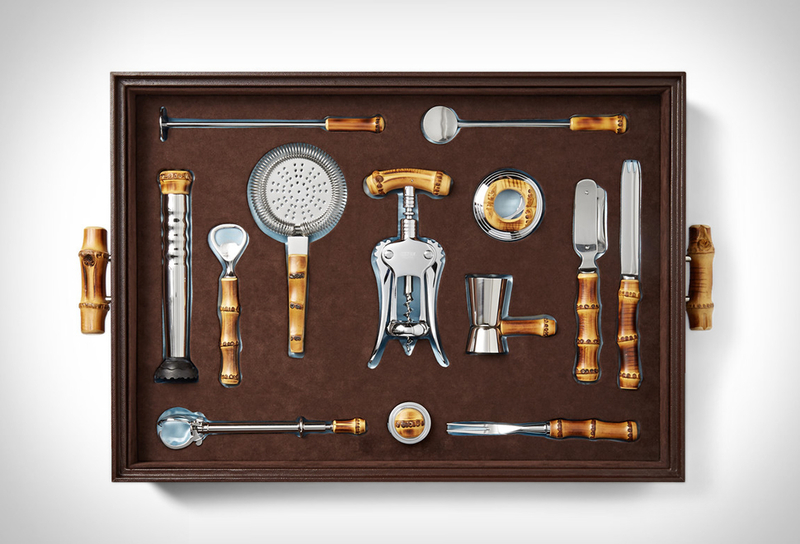 One of their most impressive offerings is this sublime Bamboo and Stainless Steel Bar Set, it has everything a bartender needs to mix and prepare cocktails. 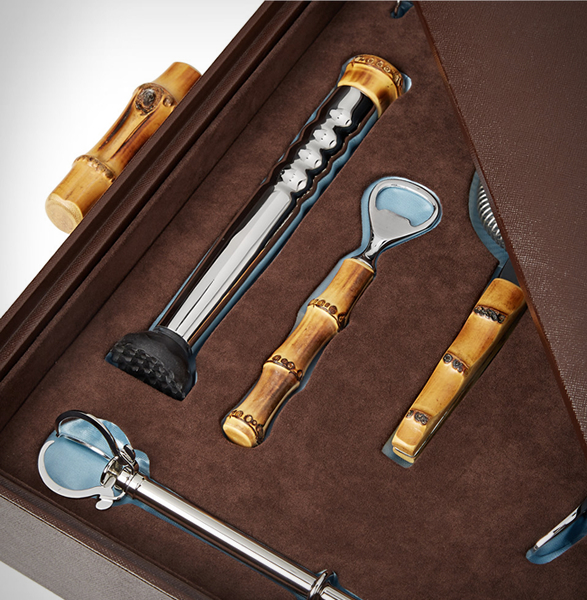 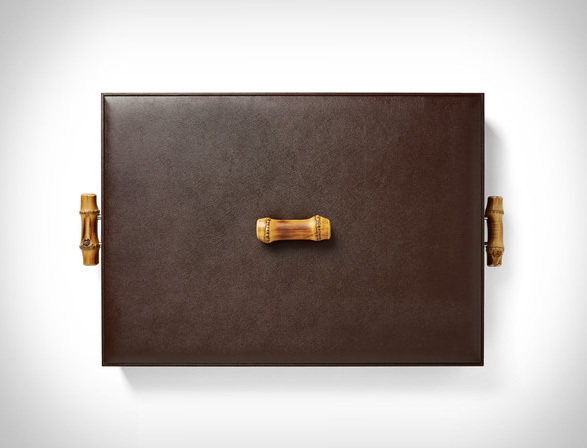 Housed in an elegant brown leather case for smart storage, the set includes a cork-screw, sugar pesltle, cocktail spoon, muddler, bottle opener, strainer, champagne opener and stopper, jigger, lemon knife, lemon fork bar knife and ice tong, all beautifully handcrafted of mirror-polished stainless steel and chrome-plated brass styled with a brown bamboo root handle.